Property owners in the Miami-Dade County area understand the potential threat of hurricanes and the destruction they leave behind. Even a category one hurricane can leave behind a significant amount of damage. For this reason, it is important to know that 911 Restoration of Miami is available to provide complete property restoration following a disaster. Within 45 minutes of receiving your phone call, the water damage team will arrive on site and provide an initial assessment of the damage. From there, the necessary steps will be determined in order to completely restore the property of all damage. Call the team of water damage experts in Miami-Dade County for total property restoration and peace of mind. There is no such thing as a convenient time to experience property damage. The team of highly trained experts understand the stress you may be feeling and will take every step necessary to restore the property of all water damage. Catching water damage early on is essential when it comes to saving valuables and preventing fungal infestations. The longer water damage sits, the more likely it is to cause further damage. For this reason, you should call 911 Restoration of Miami if you suspect your property has water damage. There are times when water damage occurs in places that are hard to detect, like in the walls. After sitting, it turns into a fungal infestation which leads to the need for mold removal. 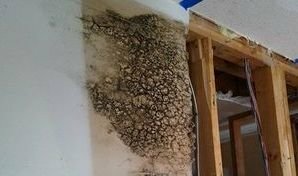 Our mold removal experts work quickly and diligently to remediate the infestation and to prevent further issues from occurring. At 911 Restoration, our team of mold removal experts are available 24/7, 365 days per year to provide water damage restoration services. Despite the cause behind your property’s damage, you can rely on us to provide a fresh start. step necessary to completely remediate the property. 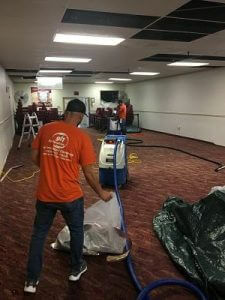 We have the necessary training, equipment and experience to handle any water damage thrown our way. If you live in Miami-Dade County and are in need of property restoration services, call our team today!